Free Practice: In both free practice sessions the Kaufmann Drivers were setting the pace. In the first session Norris was P 1, Daruvala P 3 and Shwartzman P 4. In the second session it was Shwartzman P 1, Norris P 3 and Daruvala on P 4. Qualifying 1: The qualifying was stopped by a red flag caused by Daruvala who crashed. As a result only P 16 and P 11 on the grid for him. Shwartzman got penalised because of the non-respect of a yellow flag. He qualified only P 7 and P 16. Norris kept a clear head and qualified for both race in the front row. P 2 for race 1 and Pole Position for race 2. Starting Grid for Race 1: Norris P 2 - Shwartzman P 7 - Daruvala P 16. Starting Grid for Race 2: Norris on Pole - Daruvala P 11 - Shwartzman P 16. 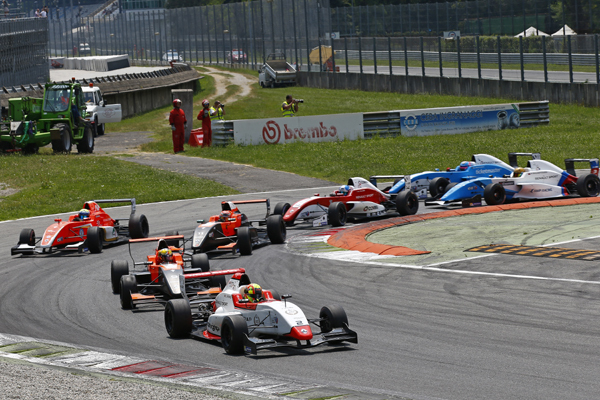 Race 1: The race on Saturday noon saw all Kaufmann Drivers making up positions. Daruvala had massive speed moving up to P 7. Same for Robert Shwartzman how made it to P 5. 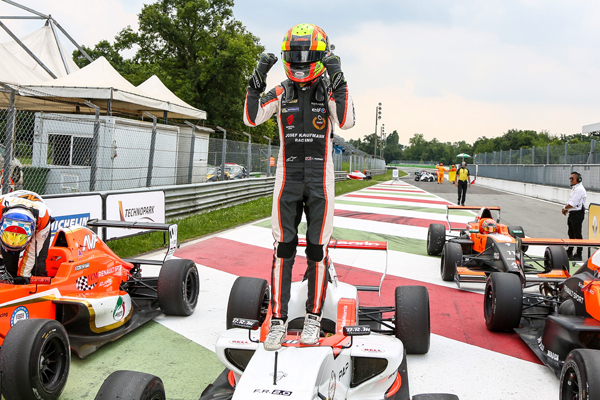 Lando Norris had a very good start, took the lead and defended very well untill the end to take another victory for this year. Race 2: Daruvala again had a massive speed moving up to P 6 already when he was crashed out of the race. Norris first was leading the race but then made a couple of small mistakes what saw him dropping down to P 7 in the end. 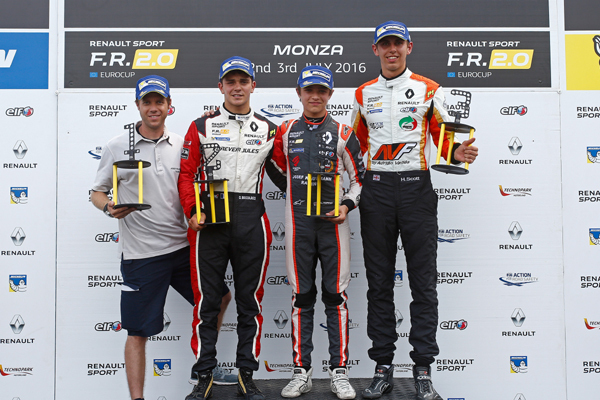 Shwartzman drove the best race making up positions from P 16 to P 6 in the end. Qualifying 2: The second Qualifying on Sunday morning saw Daruvala on P 14, Shwartzman on P 5 and Norris on P 3. Starting Grid for Race 3: Norris P 3 - Shwartzman P 5 - Daruvala P 14. Race 3: Daruvala drove a good race moving into the Top Ten when his car finally stopped in the penultimate lap. Shwartzman drove a good race and finished again on P 6. 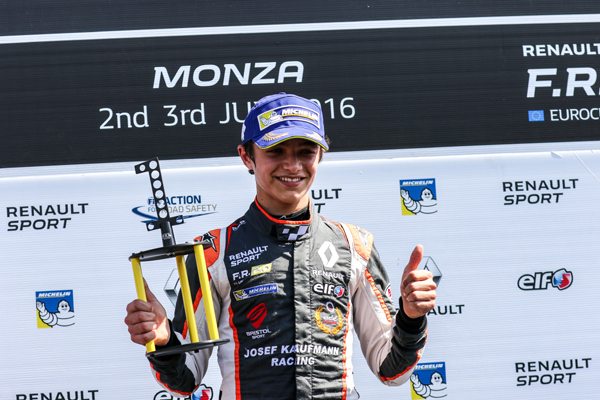 Lando Norris this time was able to make up one position and took another podium finish on P 2.